Park Shore has always set the standard for coastal elegance and prestige. This ideally-located 6th-floor condo sports fresh paint throughout -- a perfect match to the newly applied exterior of the building. 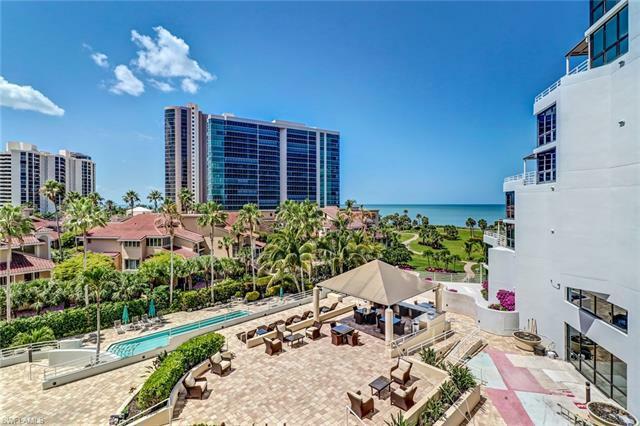 The Terraces overlooks an immaculately-groomed park and the vastness of the Gulf of Mexico -- with its mesmerizing green/blue waters and spectacular sunsets. This condo features one of the largest floor plans, with split bedrooms and hard floors throughout! The building has a fitness facility, clubroom, community pool/spa, 24hr security and parking/storage under the building. Oh, best of all for animal lovers, The Terraces complex is one of the few in the Park Shore neighborhood with a pet-friendly policy!